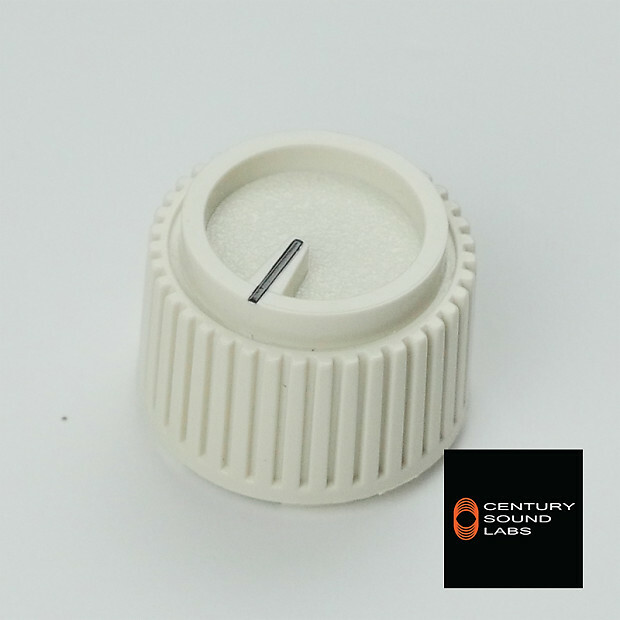 This listing is for the white 1inch "AD4096 knob." 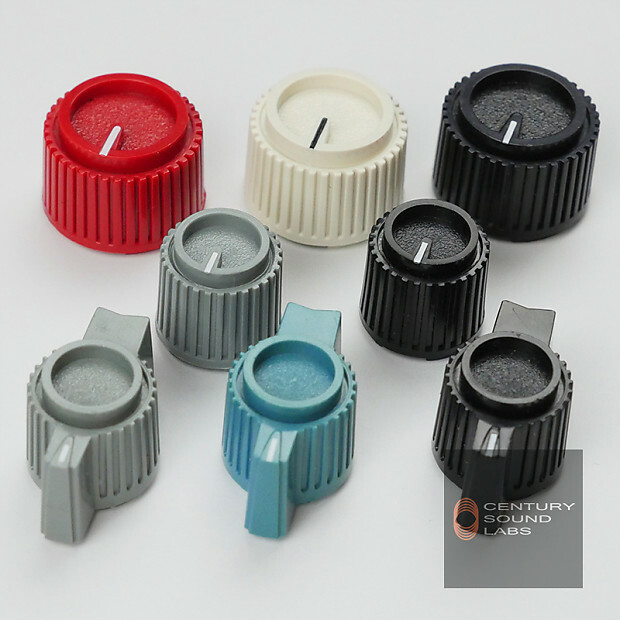 This knob is available in other colors, sizes, and styles - check our store for more options. If you see a color or style that is missing, ask us for what you want! The stunning knobs of the AD4096 have been long sought-after but never released on their own. Now they have decided to release it into the wild for DIYers everywhere to use on their pedals. This knob is secured with a 5/64in hex set screw and will fit the 1/4in (6.5mm) bushing found on Alpha potentiometers. Free shipping in US for up to 25 knobs. Beyond that, we will have to collect extra shipping. Contact us directly for discounts on orders of 50+ knobs. We will ship to group buys as long as you provide the extra shipping cost to each person. Large orders of 100+ for individual builders get special pricing - contact us for info. I will ship with tracking to the listed regions. To negotiate shipping rates to other locations, please send me a message. International buyers are responsible for any taxes or duties. Buyer receives a full refund in their original payment method less any shipping costs and a 7% restocking fee. Returns are subject to restocking fee. This is to cover processing which includes complete testing and repackaging of the returned pedal. Orders that got free shipping must also pay a refund of the initial shipping cost. After testing and evaluation. The buyer will be refunded the purchase price minus these costs.